The Nova Scotia Duck Tolling Retriever, luckily more commonly known as Tollers, originated in the Little River region of Nova Scotia, Canada. The word 'tolling' means to entice and the white tip of the breed's tail would entice and attract waterfowl to come to the water's edge for a closer look. 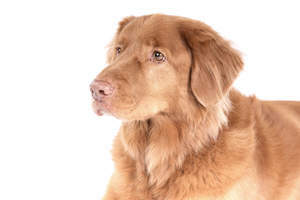 The hunters would then shoot the fowl and the Tollers would retrieve the catch. The breed is most likely made up of local farm dogs, mixed with setters and spaniels to produce a wonderfully hard working breed. 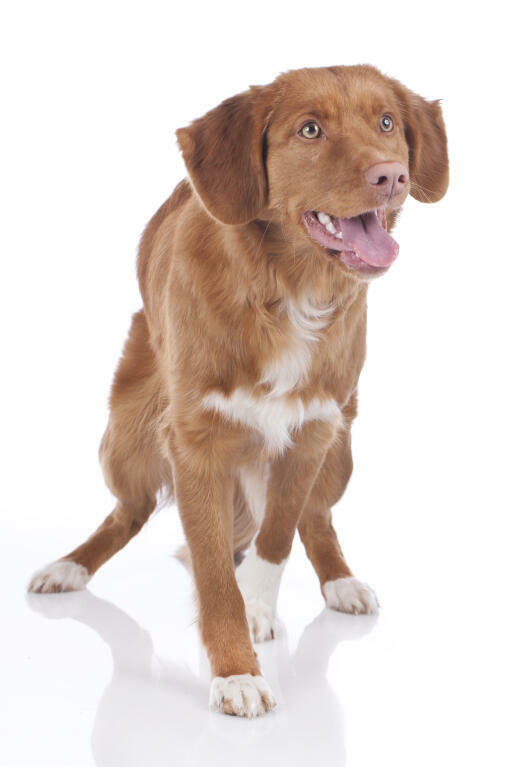 Tollers are friendly and lively dogs who adapt well to most situations. They are friendly around children and other dogs and pets, but are usually more reserved with strangers. 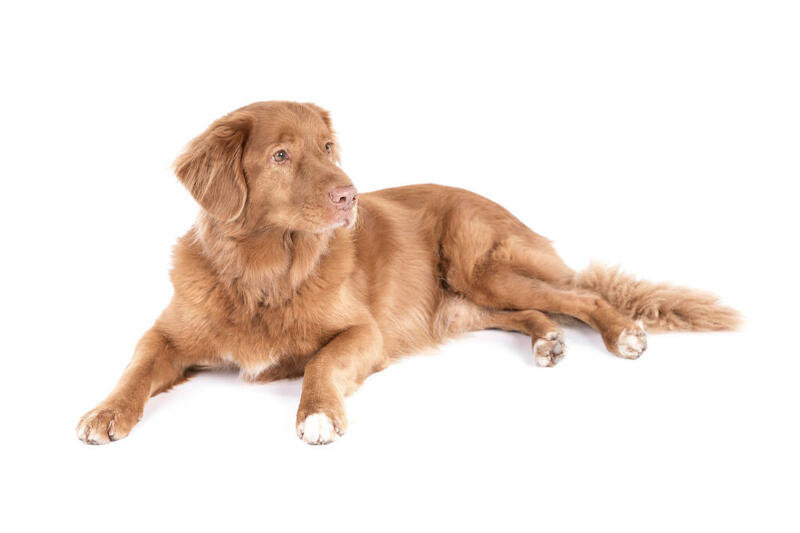 If you are relaxed when people come into the home, then the Toller will be too. they are rarely aggressive, but early socialisation is important to get them used to other people coming into the house. If raised with cats from a young age, they tend not to see them as prey. Some describe them as a cross between a Golden Retriever and a Terrier, they have a curious naughty side! Training should be started early. These dogs are highly intelligent and very active, so like to have a job to do. Retrieval is natural to them, so start recall training by throwing a toy for them and getting them to bring it back, dropping it at your feet. They have a huge appetite for learning and like to please you, so this does makes training easier. They have a natural excitement when learning and will play for hours if you are close to them. They can sometimes latch on to one person in the family, so everyone should take turns with training. They need firm, yet kind leadership and you must be consistent. They react badly to harsh correction and will become stubborn. They have high energy needs and require a very long walk every day. If you have water nearby, even better as they love to swim. Games of fetch with a floating dummy will keep them mentally, and physically, content. Once they've had a decent walk, they are calm in the house and will want to sleep it off next to you on the sofa. They do well in agility and retrieval competitions. 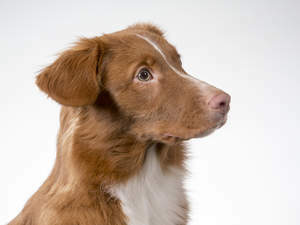 The Toller tends not to bark too much, but does have a powerful 'singing' voice. They have the 'Toller scream' which is high pitched and your neighbours will hear it. They tend to 'sing' when they are excited, so teaching the quiet command early on will pay off. Their coat just needs regular brushing to keep it tidy. Avoid bathing too often as the natural waterproofing of the double coat will be lost. They are a healthy breed, but with low numbers and a small gene pool, some problems are arising. Progressive Retinal Atrophy is one of them, as is thyroid issues. Nova Scotia Duck Tolling Retrievers have an affectionate and outgoing temperament. They are friendly dogs who do well with children, forming tight bonds in their familes. They are good with other dogs and are happy to meet your house guests. Nova Scotia Duck Tolling Retrievers need a lot of daily exercise to prevent them being restless at home. 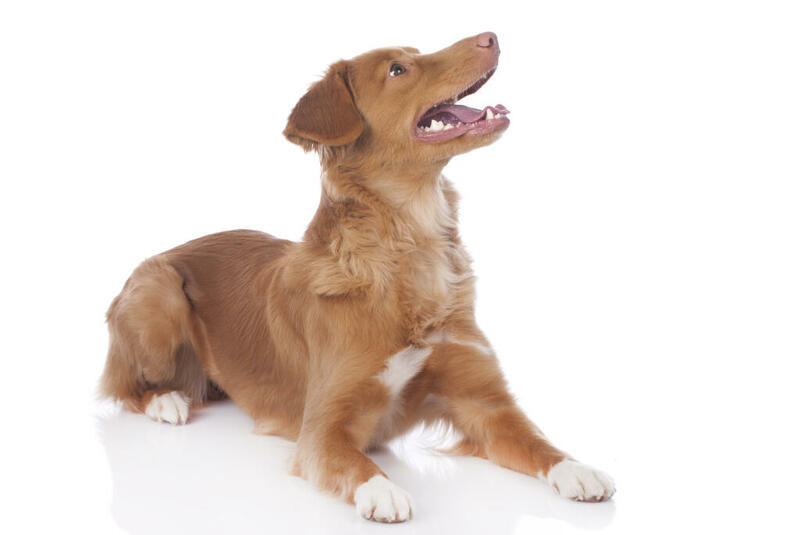 It is also important to provide regular training so the dog is mentally stimulated and doesn't get into mischief. Health problems that may affect Nova Scotia Duck Tolling Retrievers include canine hip dysplasia (CHD), progressive retinal atrophy (PRA: degeneration of the retina which can lead to blindness), autoimmune thyroiditis (dog's immune system attacks its own thyroid), aseptic meningitis and heart problems.